You can complete almost every of our home improving plan with pallets by doing some pretty simple projects! Need a baby playhouse or area? 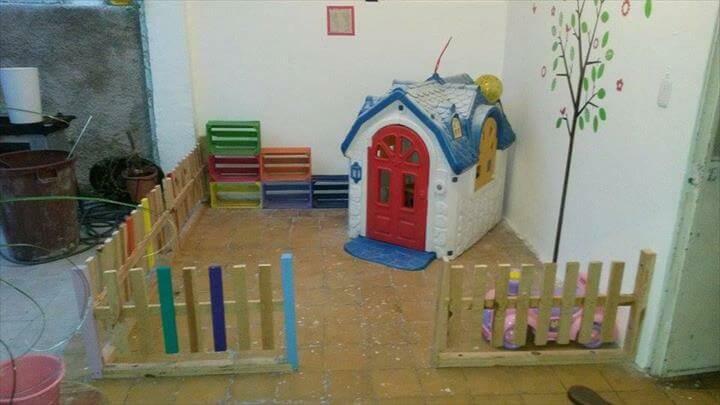 Really want to fence you baby playhouse for more ideal look! 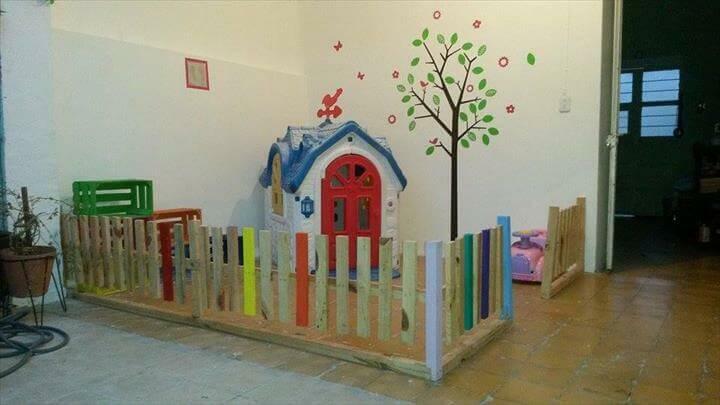 Here is this DIY pallet playhouse fencing project, really simple to do and avoid any excess use of muscle effort! A specific play area has been fenced used the torn apart pallets! Things in home trash store that you don’t need any more in home can help you more to organize this exclusive baby fun area just like empty apple crates which have been used to provide some storage shelves for baby stuff and toys, really cool! 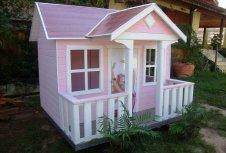 Just do this pallet playhouse to make your baby princess happier and to see the priceless smile on her face! This pallet furniture is really about to get some cool baby stuff out of pallets or to renovate their play-land with pallets! Paint this fence with bold colors of your kid’s choice and make it more spice up with kids-friendly decors! Do some kids-friendly projects with pallets and make them busy in playing! Mimic this fencing plan to add fencing around you garden or raised flower or vegetable beds! No excess of money is required you just only need pallets! 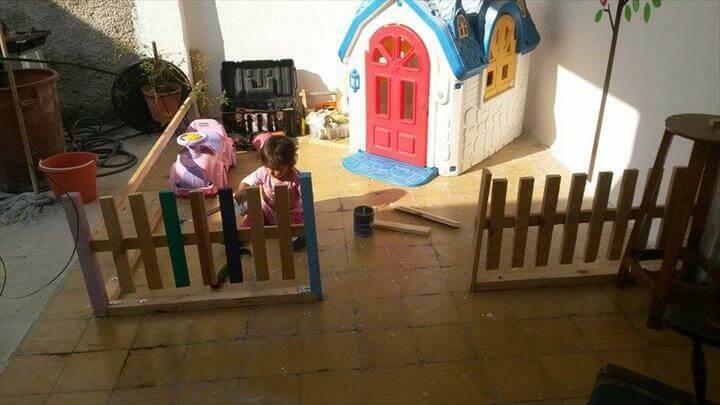 Renovate kids playing station with pallets, to add fencing to them is just a awesome thought!